Jenni is the Head of Talent Acquisition at Solita and currently recruiting for a multiple data/AI/analytics/design/software development/business development roles in Sweden, Germany, Estonia and Finland. 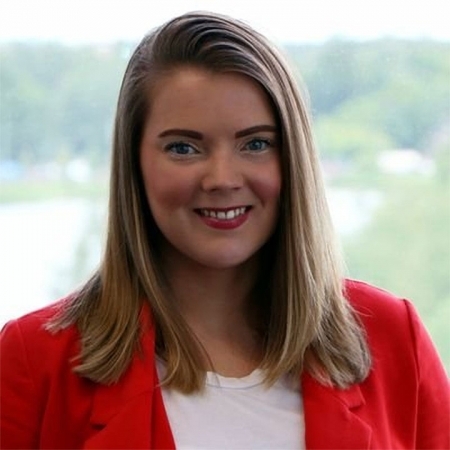 Jenni have worked in modern recruitment and employer branding almost 5 years and gained experience in lean IT and tech in-house recruitment, marketing, headhunting, talent acquisition, staffing, sourcing from Finland and internationally. She considers herself as a modern recruiter with agile mindset. She has the knowledge of the latest tool and methods on how to successfully attract, recruit and engage niche talents such as Data Scientists, Data Engineers, Data Architects, Service Designers, Software Developers, Software Architects, Software Developers and Scrum Masters. She’s passionate about lean and modern IT/tech recruitment, company culture, employer branding and how to automate the “boring stuff”. Jenni is a combination of business, recruitment and marketing. Her future career goal is to improve her skills especially in IT- and tech recruitment, social media, talent acquisition and employer branding and wouldn’t mind some international view to it. She’s also passionate about continuous self-improvement, volunteering and helping people with their job search during free time and public speaking.